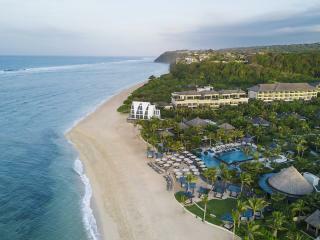 Spanning across 3 beautiful properties and featuring 745 rooms, The Mulia, Mulia Resort and Villas, is perfectly located along 1000 metres of unspoilt private beachfront of Nusa Dua Bay. 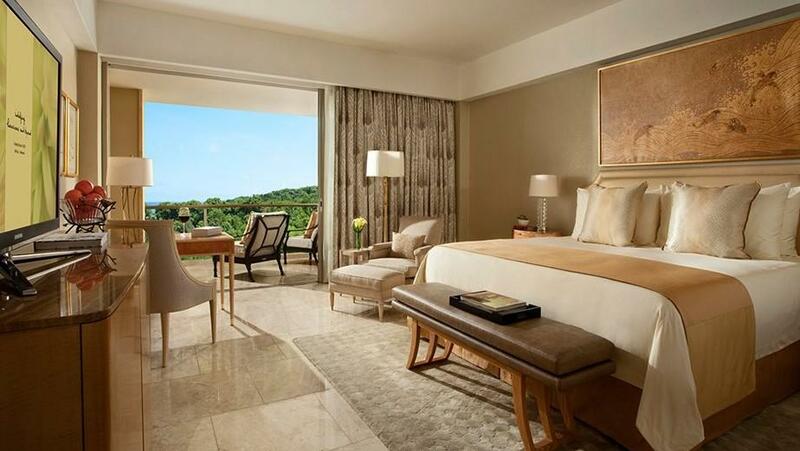 Offering some of the largest rooms in Bali, with lush tropical landscaping and private pathways leading to secluded gardens, The Mulia, Mulia Resort and Villas offers a new level of 5 star luxury. 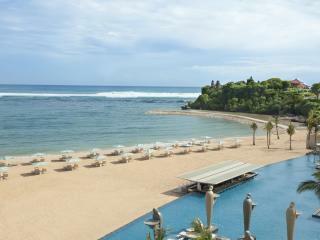 Just 30 minutes from the International Airport, you will encounter the ultimate in Balinese hospitality. 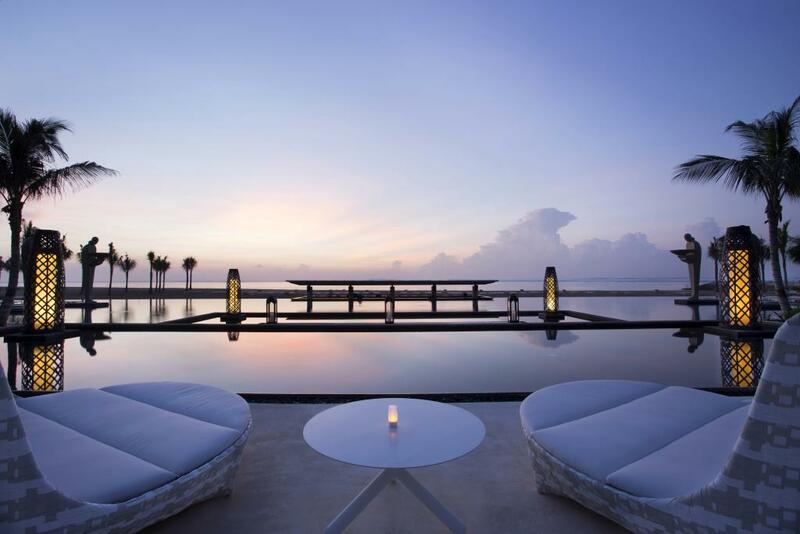 Featuring several swimming pools including an oceanfront pool and only steps away from white sandy beaches, this high design resort is the perfect Bali location for both couples and families. This exquisite property offers an amazing range of on site facilities and activities including swimming pools, fitness centre, flood lit tennis courts, 24 hour business centre and 8 restaurants and bars. 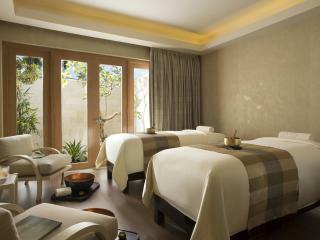 The Mulia, Mulia Resort and Villas is also home to Mulia Spa, offering signature aqua based treatments in a state of the art wellness suite. Yoga and aerobic classes are also offered and the Sports and Leisure team organise regular games of beach soccer and volleyball. 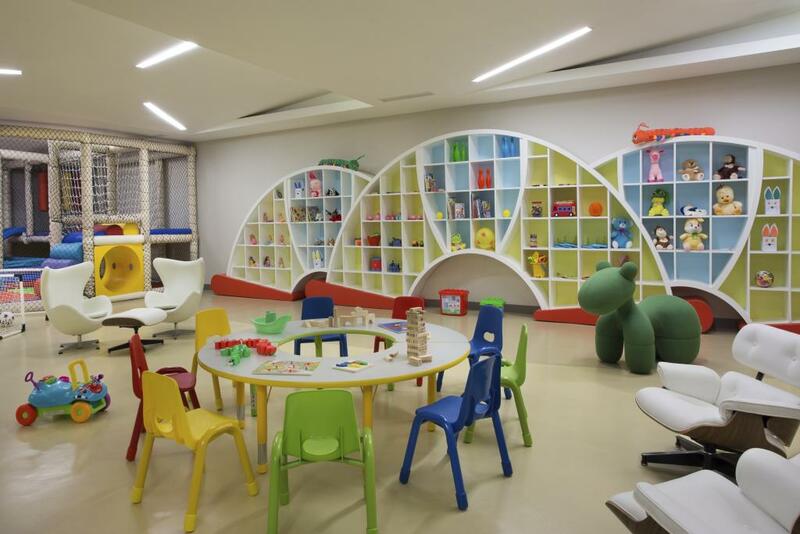 Children will enjoy the wide range of activities that is on offer at Mulia Kidz club, including creative learning, arts and crafts and sports activities. 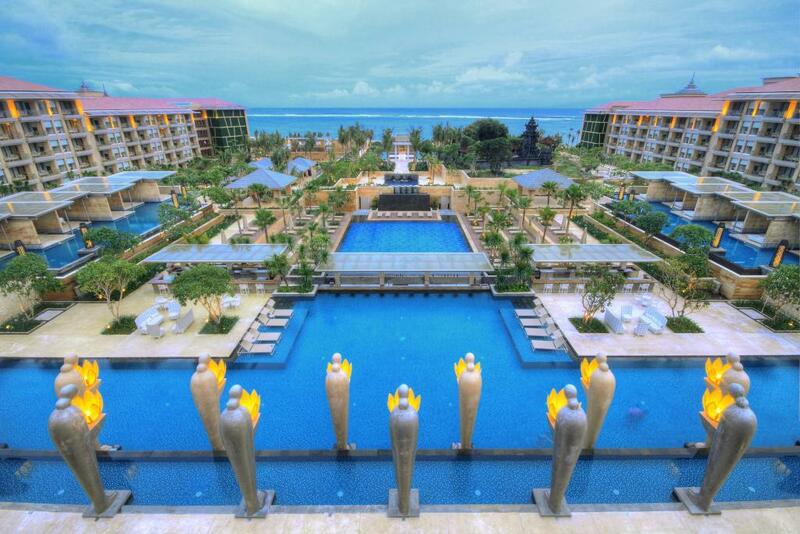 The Mulia, Mulia Resort and Villas are located along the pristine white sandy beaches of Nusa Dua Bay, only 15km from Bali Ngurah Rai International Airport. 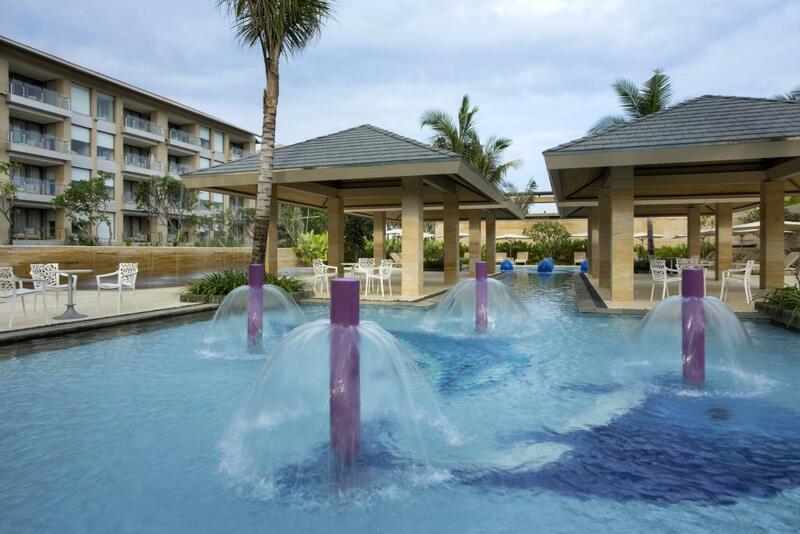 Local attractions and activities of Bali are all easily accessible from the property and the concierge desk will be more than happy to assist you with your travelling arrangements around the island. 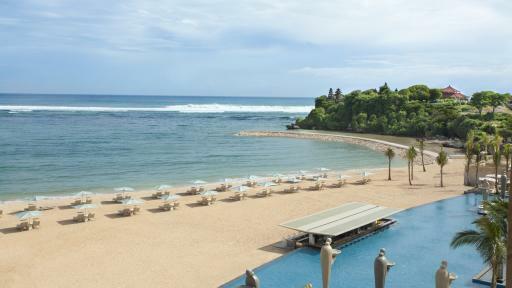 Whether this is your first trip to Bali or you are a frequent visitor, the friendly staff at The Mulia, Mulia Resort and Villas will ensure your stay is that of a memorable one. 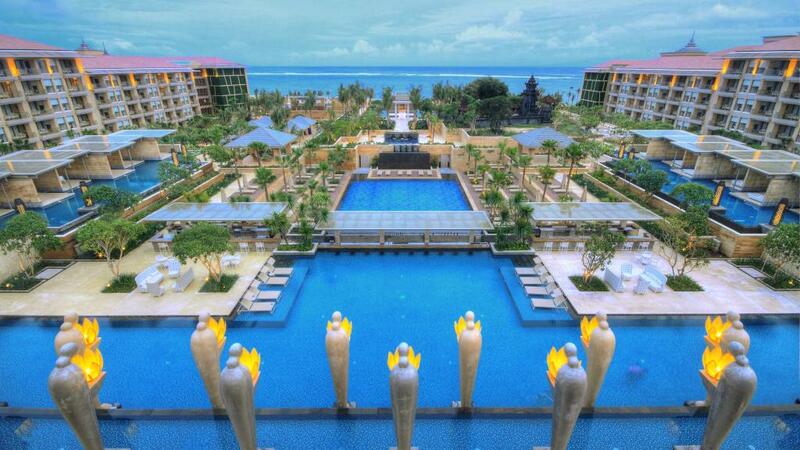 Mulia Resort: Features superbly appointed Mulia Grandeur, Mulia Signature and Ocean Court Suites, set amongst lush tropical gardens. 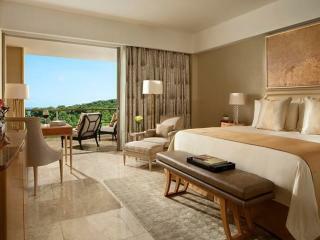 Mulia Grandeur Deluxe Room: Located in Mulia Resort. Features partial ocean views, courtyard and pool views. 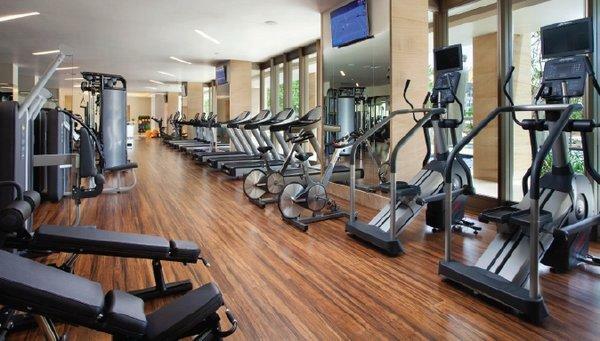 Room size is 57m². Bedding is 1 King Bed. Maximum room capacity is 2 Adults + 1 Child. 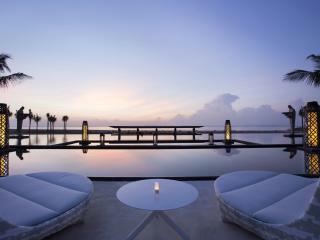 Mulia Signature Lagoon Room: Located in Mulia Resort on the ground floor with direct access to the lagoon from the balcony. Room size is 57m². Bedding is 1 King Bed. 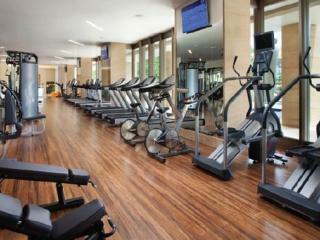 Maximum room capacity is 2 Adults + 1 Child. 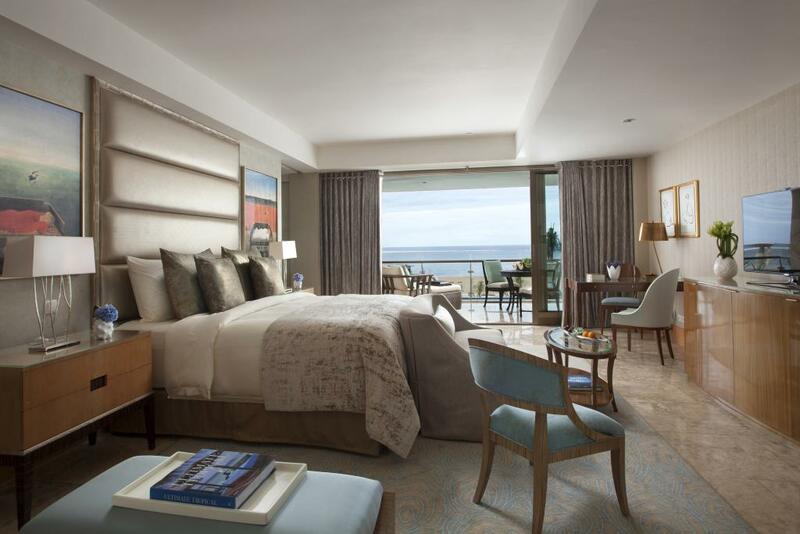 Mulia Signature Ocean Court: Located in Mulia Resort these rooms are conveniently located at the centre of Mulia Resort Room. size is 57m². Bedding is 1 King Bed. Maximum room capacity is 2 Adults + 1 Child. 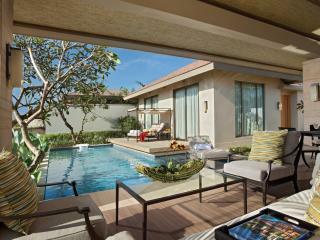 Ocean Court Suite: Located in Mulia Resort also called The Royal Suite. This room type is great for families of 4. Room size is 83m². Bedding is 1 King Bed or 2 Double Beds. 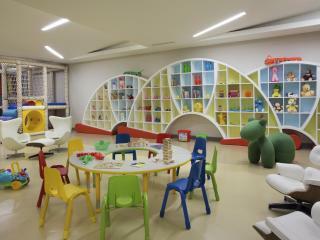 Maximum room capacity is 3 Adults OR 2 Adults + 2 Children. 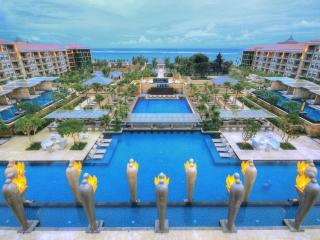 Mulia Grandeur: Located in Mulia Resort. Features views of the tropical gardens. Room size is 57m². Bedding is 1 King Bed. 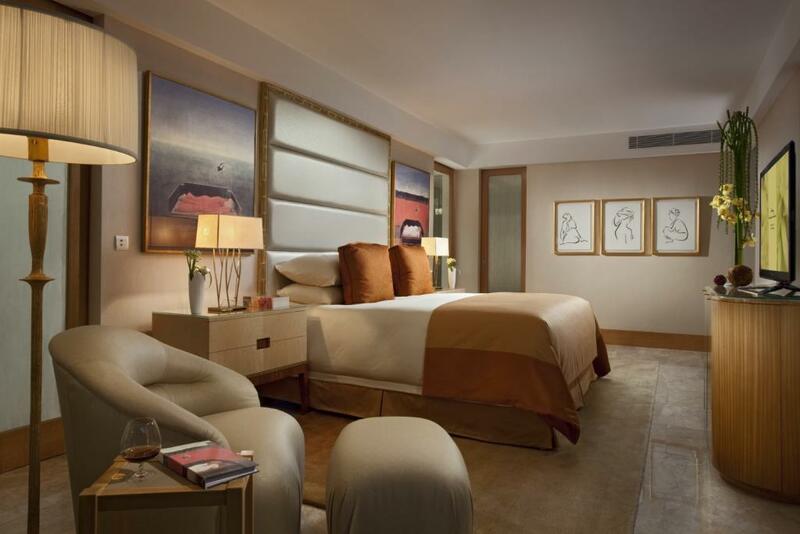 Maximum room capacity is 2 Adults + 1 Child. 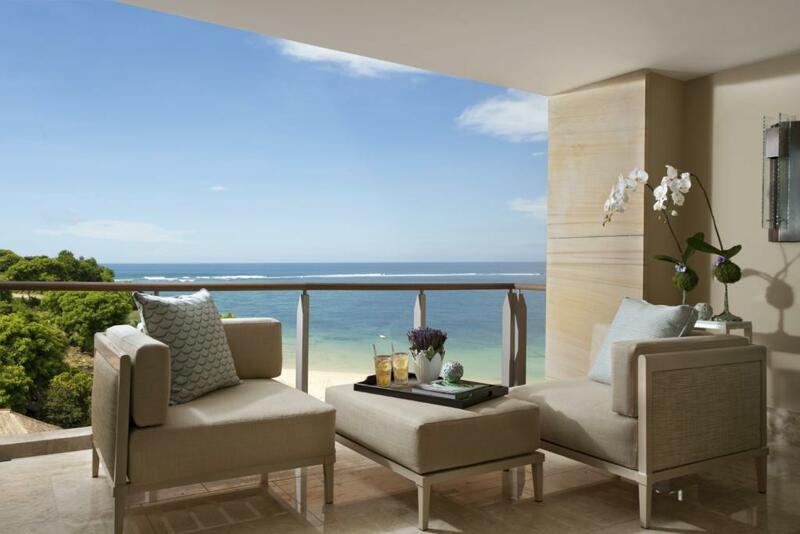 The Mulia: With a beachfront location overlooking Nusa Dua Bay, The Mulia features elegantly appointed Baron and Earl Suites. 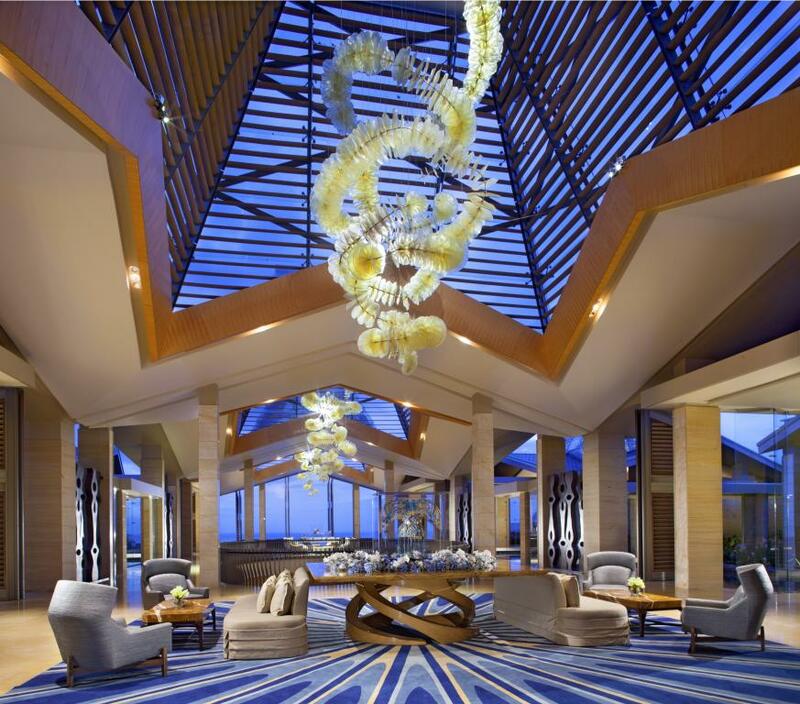 Guests staying at The Mulia will also receive complimentary afternoon tea and evening cocktails in The Lounge as well as a complimentary butler service. 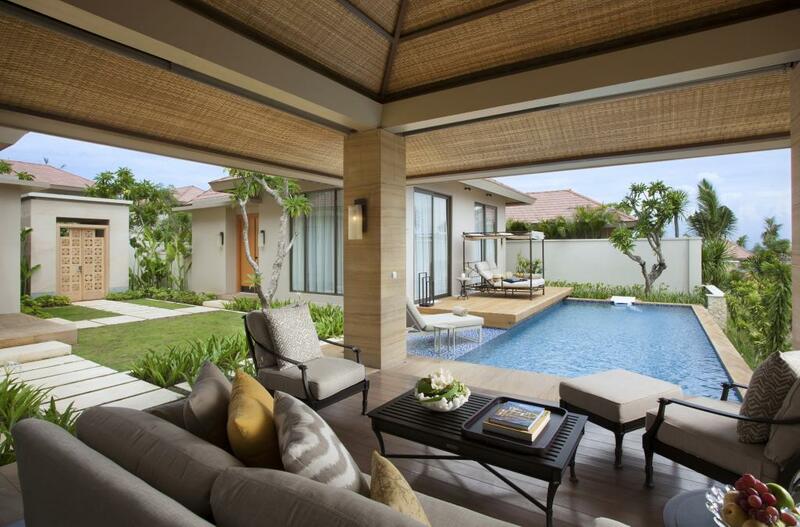 Mulia Villas: Consisting of 1 Bedroom Garden, 1 Bedroom Ocean and 2 Bedroom Family Villas, each nestled amongst beautiful tropical gardens and private pathways. 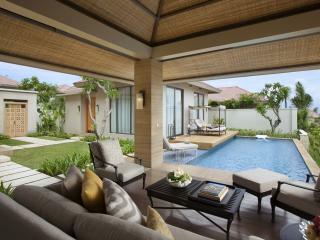 All villas are beautifully appointed with luxury furnishings. 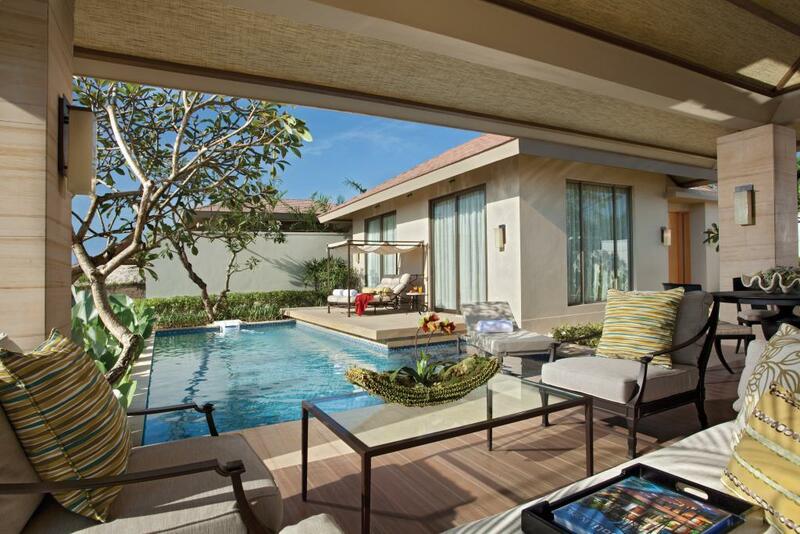 Guests staying at Mulia Villas will also be entitled to exclusive use of Residence at Villas, complimentary afternoon tea and evening cocktails in The Living Room as well as a complimentary butler service. Prices are available upon request. 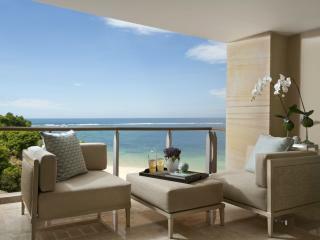 The Baron Beachfront View Room: Located in The Mulia - Suites. Featuring ocean views. Room size is 105m². Bedding is 1 King Bed. 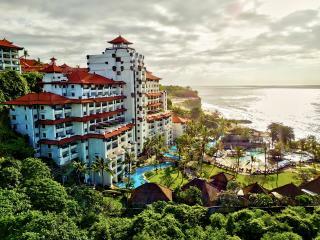 Maximum room capacity is 2 Adults + 1 Child. 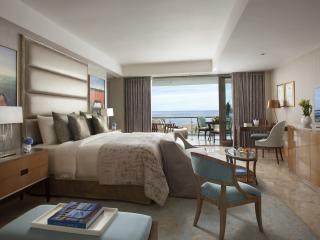 The Earl Beachfront View Room: Located in The Mulia - Suites. Featuring ocean views. Room size is 130m². Bedding is 1 King Bed. 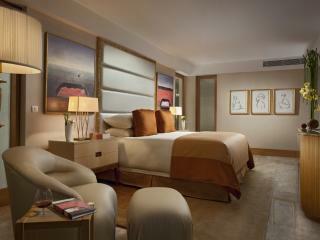 Maximum room capacity is 2 Adults + 1 Child. 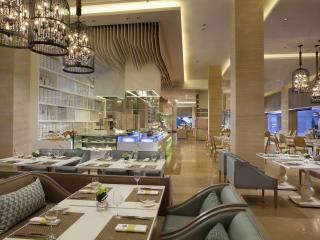 The Cafe: Located in the main building, offering a variety of international dishes with spectacular lake and ocean views. 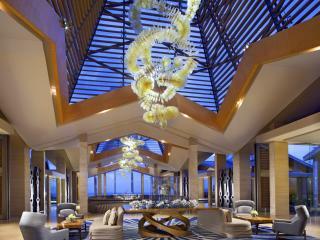 Soleil: Mulia Resort's signature beachfront restaurant, featuring Mediterranean and Pan-Asian dishes. Edogin: Offering a wide selection of Japanese Cuisine including Teppanyaki and Sushi. Cascade Lounge: The perfect setting for morning coffee while browsing through the resort's library. 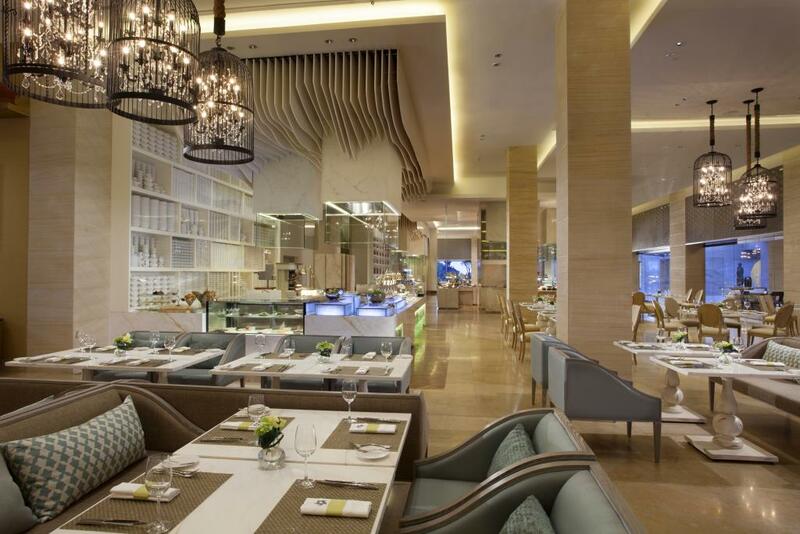 Mulia Deli: Offering a wide variety of delicious French pastries and truffles. The Bar: Offering al fresco dining in an open air setting with views of the lake. Perfect for a light snack or beverage. 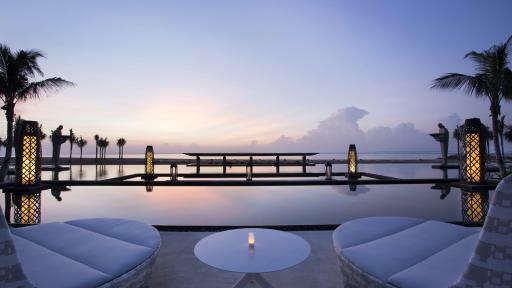 Sky Bar: With spectacular view of the Indian Ocean, offering afternoon tea and pre-dinner drinks. ZJ's Bar & Lounge: The perfect place to end your day with music and dancing is at ZJ's Bar & Lounge. Table 8: Serving Cantonese and Szechuan cuisines guests can enjoy home-cooked style meals, popular street food and more. Open daily for lunch and dinner, and Sundays mornings for Dim Sum. 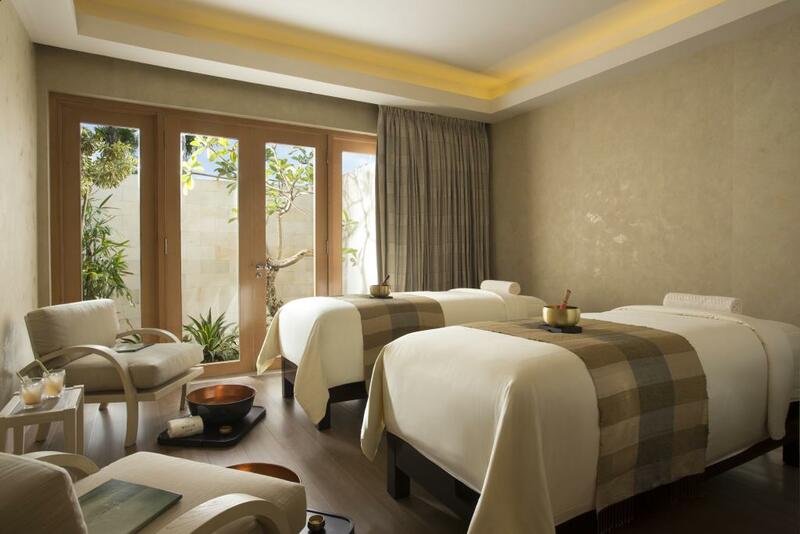 Mulia Spa: Indulge in a variety of aqua based treatments at Mulia Spa. Also featuring crystal healings, sauna and an ice room, this spa is sure to leave you feeling extremely relaxed and rejuvenated. Mulia Kidz: Offering an exciting range of activities for children of all ages including arts and crafts, sporting activities and games. Children: Children under 12 years charged at the child rate. Address: Jl. 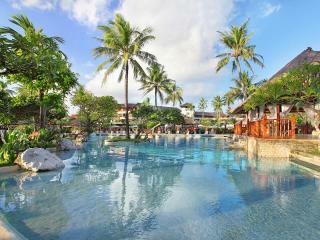 Raya Nusa Dua Selatan, Kawasan Sawangan, Nusa Dua 80363 Bali, Indonesia. Every aspect of the Resort including staffing,meal options and above average facilities exceeded our expectations. Had anywhere in the world. This is my second visit & I will be back! !